Looking for clarity in the markets? Get laser-focused with our Custom ROEBars. 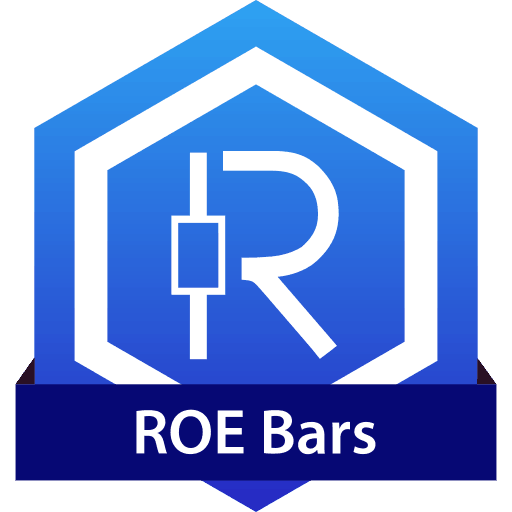 The ROE Bars were designed to allow you to see Volume signals more clearly, with less ambiguity. It’s a hybrid of the range, ticks, and seconds, so you don’t have to let any valuable data slip away from your sights. How are ROE Bars constructed? The ROE Bars are a combination of Range, Tick and Time. With ROE Bars, you get a maximum and minimum for each of these. Set the values you want, and look at only what is important for you. Because Range, Time and Ticks work together, you’ll be able to keep track of any wave variation, big or small. Both wide and small ranges are always accessible.